Airbus studying Airbus A380neo, but "no plans to build it"
Airbus says it is looking at a next-generation Airbus A380neo, based on interest in the proposed aircraft from Emirates Airways. "We are studying it" confirmed John Leahy, Airbus Chief Operating Office Customers, at Airbus' annual international media conference in Toulouse, France. "When your largest customer is encouraging you to study it, we will continue to study it" Leahy added, although he allowed a cautious caveat that "At the present time we are not planning to (build) it... we have made no commitment to do so." The A380neo would be fitted with new high-efficiency engines (in Airbus parlance, 'neo' stands for 'new engine option') designed to burn less fuel. The souped-up superjumbo could also employ refined aerodynamics to further reduce fuel burn and extend range. Emirates – which is Airbus' largest A380 customer, with a staggering 140 superjumbos on order – is already talking up the proposed A380neo platform. Airbus is already floating a revamped A380 design with as many as 22% more seats, including an optional 11 seats across in economy, although Emirates has already ruled out adopting an 11 abreast economy layout. "It puts a middle seat in the five arrangement which is not very attractive," Emirates president Tim Clark said of his decision to nix an extra economy seat in the middle of what's currently a 3-4-3 layout. "Imagine you've got a problem and you have to keep on getting out and going to the loo." Qatar Airways has also flagged its interest in the A380neo. “You know that Qatar Airways will always make sure that whatever is developed by the manufacturers, we will have it" CEO Akbar Al Baker said at a press conference at the Arabian Travel Market in Dubai in May, when asked about the A380neo. "A very good example is the A380s, the reason we got so delayed is that we demanded that the new wing be attached to our A380s. So we will always be a step ahead, together with our friends at Emirates, to make sure both of us always get the best aeroplanes." Australian Business Traveller is attending the 2014 Airbus Innovation Days media conference in Toulouse as a guest of Airbus. I Googled "marhaba ya habibi" as posted by Speedbird, and found some Arabic song-and-dance routines. 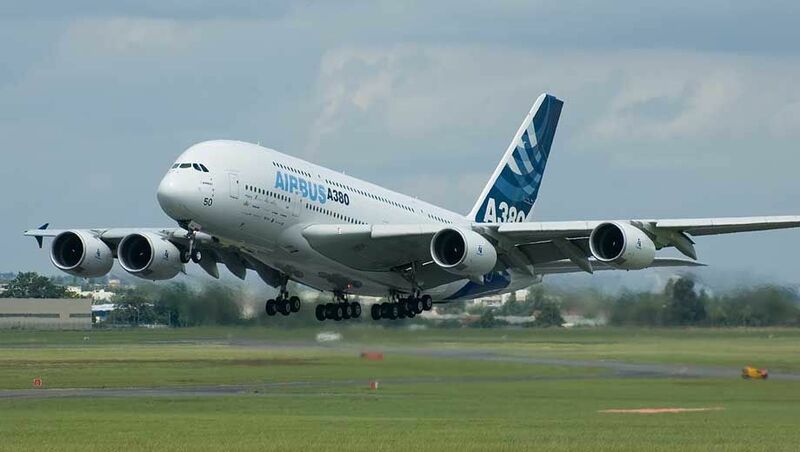 Comment on "Airbus studying Airbus A380neo, but "no plans to build it""